This spice rub is packed full of flavor. The combination of spices are just perfect for any type of meat, seafood, or vegetable. You can find most of these ingredients in your local grocery stores and in specialty markets. It's definitely worth the trip, since this spice rub is so versatile. In a small frying pan over a low heat, lightly toast whole cloves, cumin seeds, fenugreek, cardamom seeds, peppercorns, and coriander seeds for about 2 minutes, or until they become fragrant. Make sure to watch for burning. Remove pan from heat and allow to cool for 5-10 minutes. 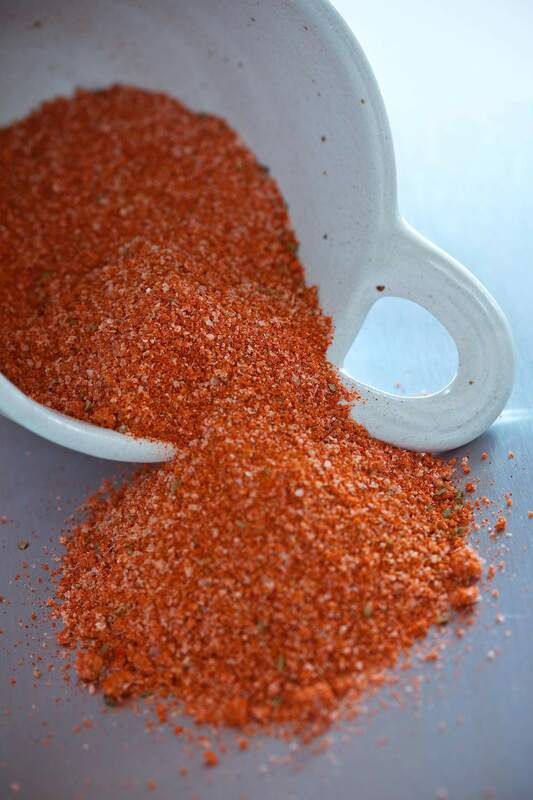 Remove stems from chilies and grind with toasted spices. Add remaining ingredients. Store in an airtight jar. Rub will keep for up to 1 year if stored properly in a cool, dry place. To use, simply apply rub to meat, seafood, or vegetable. Grill, bake, fry, or broil as directed.